At Nåttarö we have 50 cabins ranging from 2 to 4 beds and two 6 bed cabins. We also have a 32 bed hostel with a newly renovated kitchen. Also, we have newly renovated shower facilities and compost toilets which are in close proximity to the holiday village. For those who want to get really close to nature, you can camp here for 60kr per Night. You can book cabins or rooms in the hostel here. The hostel can only be booked by the day. If you are a school, company, association or individual who wants to rent the entire hostel to yourself, please contact us for booking. 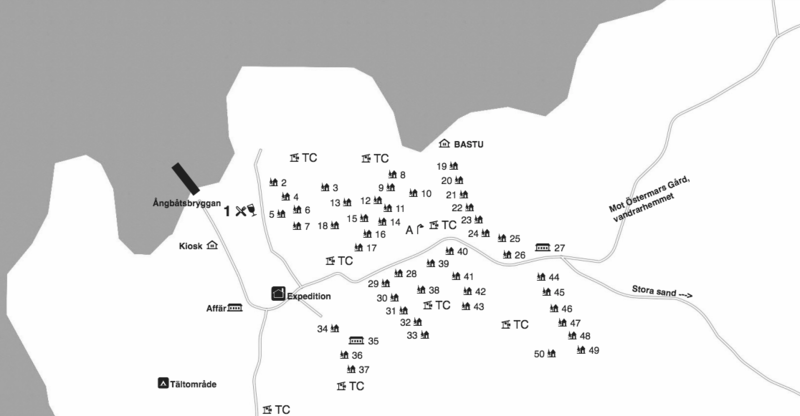 Click here to see the map of our cabins. Here at Nåttarö there is a shop, as well as small kiosks selling various different provisions. For more details, see the shops website.